To me, Pattaya is basically a running joke. If you tell me that’s where you’re headed, you can expect me to judge you. Although it has already been a few years since I first went there, I still remember crying as I first lay eyes on the legendary walking street. If you’ve ever been to Pattaya, you will know why I was upset. No, it wasn’t the garbage, but that’s pretty upsetting too. 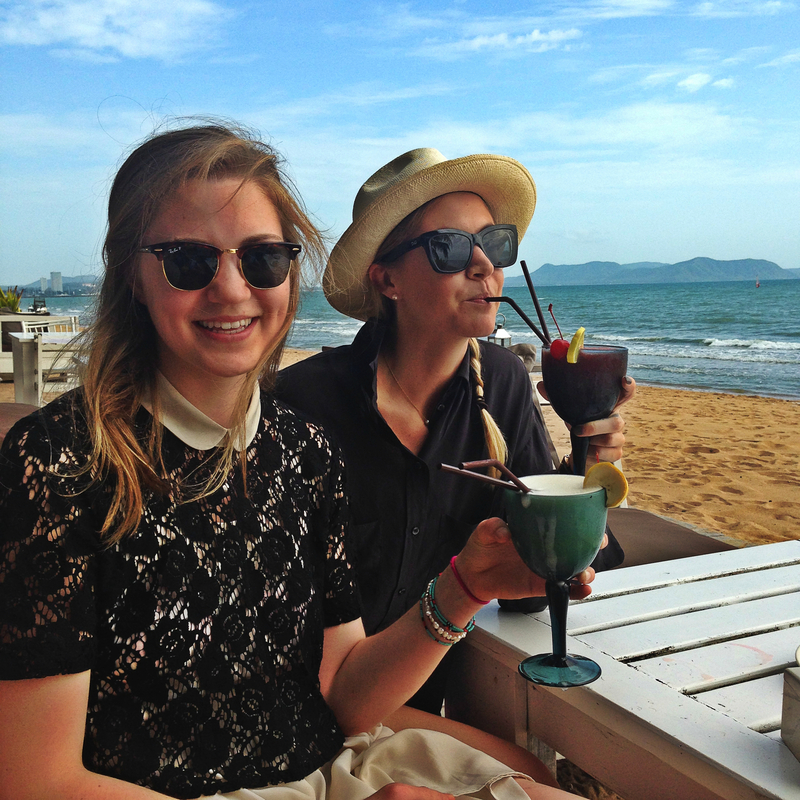 I was recently interviewed by Barbara Woolsey for Cat & Nat, an online magazine for lifestyle in Thailand. This is my first time being interviewed as a blogger and it’s very exciting to open the website and see my face on the homepage. My perfect morning involves a cute outfit, good friends and a cup of coffee. Preferably, the coffee will be consumed at some sort of a cool cafe. With these photos, the irony of the situation is that they were taken at the “(un)fashion cafe” in Ekamai and there I was wearing heels at noon. Oh well, bloggers will be bloggers and I am finally past the point of any sort of shame. This week I had the opportunity to be @Thailander on Twitter. Thailander is an account that gets passed on to a different individual each week, allowing people to learn about the country as well as search for answers to any questions they may have. Given that Thailander has a following of over 5000 people, I must admit I was quite nervous. Frankly, I get anxiety over a Facebook post to my friends, let alone a Tweet to thousands of strangers. But I committed to do it in hopes that it would increase my confidence and allow me to feel more comfortable with Twitter as a social media platform. After all, if I plan to be any kind of an influencer in fashion, I need to learn to take my own opinions seriously. I figured I should begin with learning to Tweet. The best part of Shasa Resort & Residences is that it leaves you absolutely disconnected from everything around you. 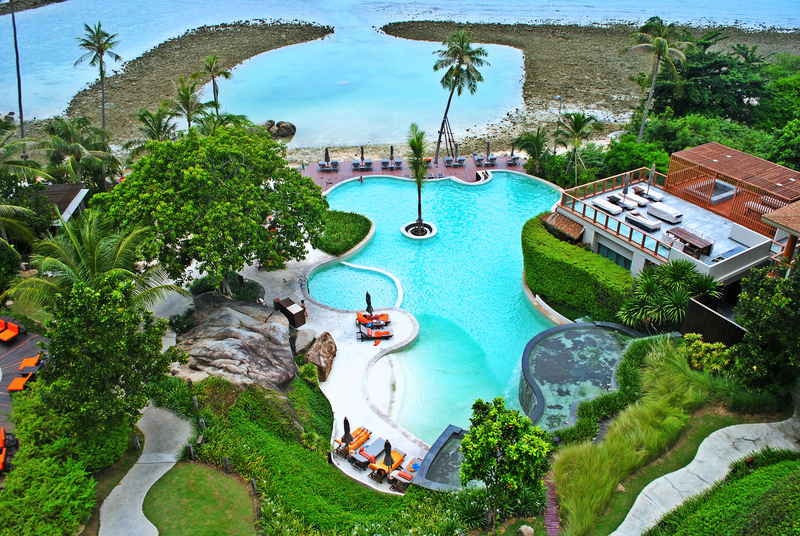 This hotel is different from the typical beach resort, in the sense that there is no distinct beach. Although this may initially appear unappealing, it actually poses some unexpected benefits. In fact, it creates an exceptionally original holiday experience.